Polyurethane Snub Mount with Powdercoated Steel Bracket for all 20vt equipped C4 S4 / S6 cars. 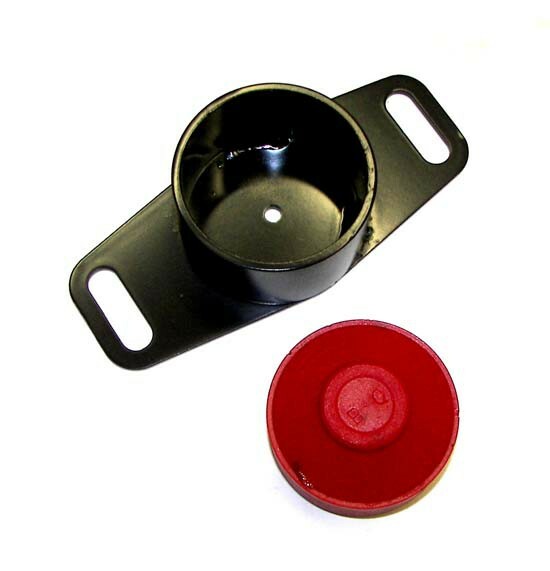 Also fits most VW Mk1 Chassis, Sport Quattro and other applications. Tubular support welded to limit snub mount movement. Greatly reduces engine movement under throttle transition w/o increasing noise and harshness. NOTE: When installing this poly mount in an 034Motorsport Snub Bracket, some light trimming of the outside of the mount is required to make it a perfect fit, this can easily be accomplished with a utility knife.